Truro Computer Services provide IP CCTV systems for homes and businesses, from a simple camera to watch your car to full multi camera systems to watch over your home or business*. 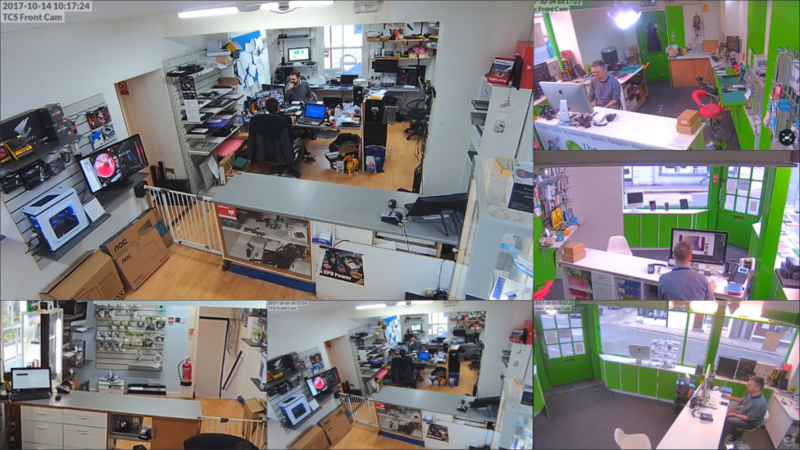 Our most popular system (Ubiquiti) can be seen working in our shop on River Street, Ubiquiti cameras and be used inside or out, offer full 1080p resolution, clear audio recording and night vision. Ubiquiti camera systems can be accessed via a variety of devices consecutively (Windows, MAC, IOS, Android) either from inside the network or anywhere with an Internet connection when away from the premises. For more information or a quote contact us today.